Setting up a Nevis Company is quick and easy. Contact us and we will get it done for you. The Nevis Business Corporation Ordinance allows a company to be incorporated under the same laws as an international business company/corporation (IBC). This then means that the business can conduct any legitimate business offshore. One looking to register their business will find the process quite easy to go through. To incorporate your business into Nevis, you must first get yourself a registered agent who holds a Nevis Island Administration license and also has a registered office with Nevis. Once you have obtained a name for the IBC it is submitted to the registered agent who goes ahead and reserves it through the online registration module used by Nevis. There are a wide range of agents offering the service, and all essentially use the same approach to get things done. In addition to having a registered agent, the 1984 Ordinance states that the registered agent may only be a solicitor or barrister who is admitted to carry out their practice in St. Christopher and Nevis. However, a corporation that has paid-in capital worth EC$500, 000 may also act as the registered agent for another corporation. This second approach was put in place to move the queue along and ensure that businesses were not held off by brutal and bureaucratic processes. A Nevis Business Corporation (IBC) is not required to pay any taxes from the local area. The list of exemptions includes capital gain taxes, estate, withholding, gift, succession, stamp duties as well as any other taxes that consider the income or assets gotten outside Nevis or activities that are not part of Nevis. What restrictions are related to having a Nevis corporation? First off, a Nevis corporation is restricted when it comes to trading within Nevis, unless, of course, it is dealing with an international partner without ties to the country. It is also restricted when it comes to offering services related to banking, insurance and real estate. There are some restrictions tied to the naming of a Nevis Corporation. Firstly, the name of the company must have the word “limited liability company” or it's abbreviated form which can be anything among the following; L.C, LC, L.L.C, or LLC. The name should also be distinct from any other-among those that are on the index of names for already existing companies or those held by the registrar of companies as reserved names. This restriction can also be used to deny a company the right to use a specific name if the name is so similar to another already there that it would bring confusion. 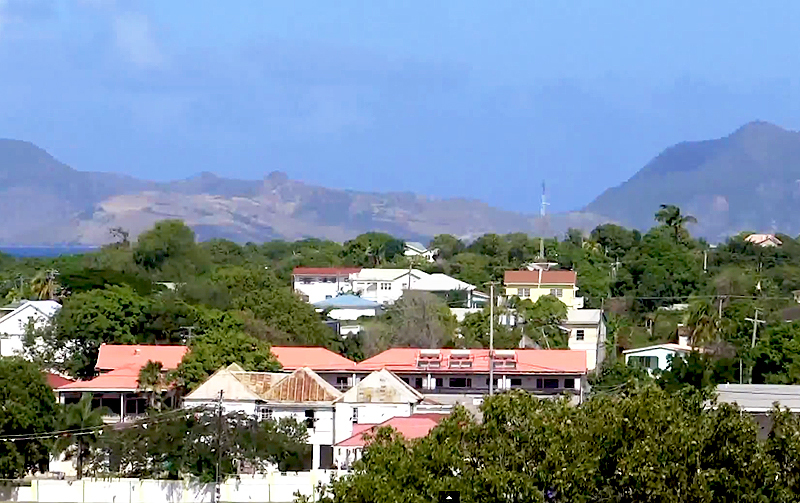 Companies willing to be incorporated into Nevis that have words such as Chartered, Imperial, Co-operative, Insurance, Loans, Investment Find, Fund management, Municipal, University, Royal, Chamber of Commerce, Building Society, Bank or Assurance may require licensing or the approval of government before being incorporated. Nevis does not require any tax returns to be filed by Nevis Business Corporations. The public registry will, however, require the companies to provide a few details when paying the annual registration charge of the corporation. Bearer shares are one among the seven types of share classes that are obtainable for a business corporation in Nevis. The other types of shares are registered shares, shares with or without voting rights, redeemable shares, preference shares and shares of no par value. As much as there is no legislation about tax returns, a member can ask for the company's documents provided there are no restrictions barring them from obtaining the records. What is the standard approved share capital of a Nevis Corporation? The accepted authorized share capital of such a company is US$100, 000 that has been divided into 100 shares each with an assigned par share value. The Ordinance does not mention anything about the currency in which these shares should be denominated in, but the Registrar of Companies accepts shares in any currency that is recognized. The Ordinance allows for any Nevis corporation to have nominee shareholders without any limiting factors. Under article 46(1) the 1984 Ordinance states that the board should consist of not less than three members. An exception is made for a scenario where the shares of the company are held by less than three people. Ideally the number of members on the board should not be less than the number of shareholders. For this exception, the board acting under the bylaws is allowed to stipulate the number of shareholders required. The minimum number of shareholders required for a Nevis Corporation is one. The maximum is not fixed as a certain number. The number of shareholders is dependent on the number of board members and is chosen according to the bylaws of an individual corporation. Is a company secretary required? A Nevis corporation does require a company secretary that will tend to matters concerning the running of the company. The position of the company secretary may be filled by an individual or a corporation capable of carrying out the duties that pertain to the position. This is the only position that can be filled by a corporation as all other positions involving the leadership of the company such as the president, managing director and treasurer are expected to be natural persons. Is there any restriction to the location at which meetings are held? Meetings for a Nevis corporation can be held anywhere inside or outside Nevis. The Ordinance does not have any restrictions against it. However, if the bylaws of the business stated anything contrary to this then the board members and shareholders have to abide by the corporation bylaws. Can meetings of managers and members of a Nevis limited liability company be conducted by a written resolution? The Operating Agreement allows for meetings of managers and members to be conducted by written resolution. (2) Meetings for the directors of the company? Annual general meetings are a prerequisite for shareholders of the company and can be held anywhere within or outside Nevis according to the bylaws of the corporation. In such a meeting, the election of directors and pertinent issues concerning the business may be part of the agenda. There is also the option of using a written resolution instead of holding the actual meeting when circumstances call for it. The directors can have meetings as frequently as the articles of incorporation allows or the bylaws of the corporation. These meetings may be held without prior notice if the venues and times of such meetings are clearly spelled out in the bylaws. (2) Incorporation of the business? (3) Dispatch for the limited liability company completed? Checking of a name can be done in an hour's time. It will take two working days for the dispatch of the businesses corporate pack to be completed. 10 things you need to know about a Belize offshore companyIs Fintech really the best option for banking in the future?